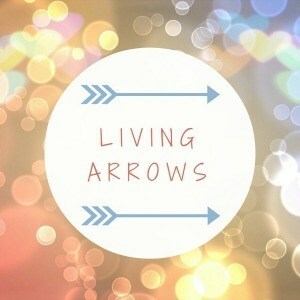 Its the last post of 2018 and we have actually completed a whole year of Living Arrows posts! 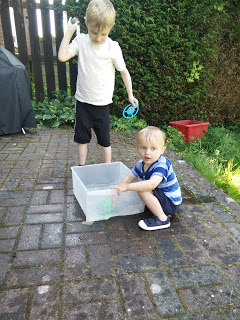 We spent last week at Nanny and Pappy's house in Surrey! 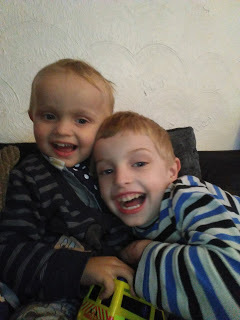 It was the first time the boys had been there for Christmas and it was also the first time mummy and daddy had been there for Christmas since 2010! 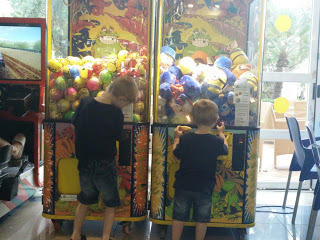 We had such a lovely time and the boys had a ball terrorising the cats Zippy and Cecil! 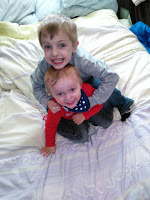 James and Freddie both had a great time while we were away! They were both well behaved on the trains to and from London and when we were crossing London via tube. 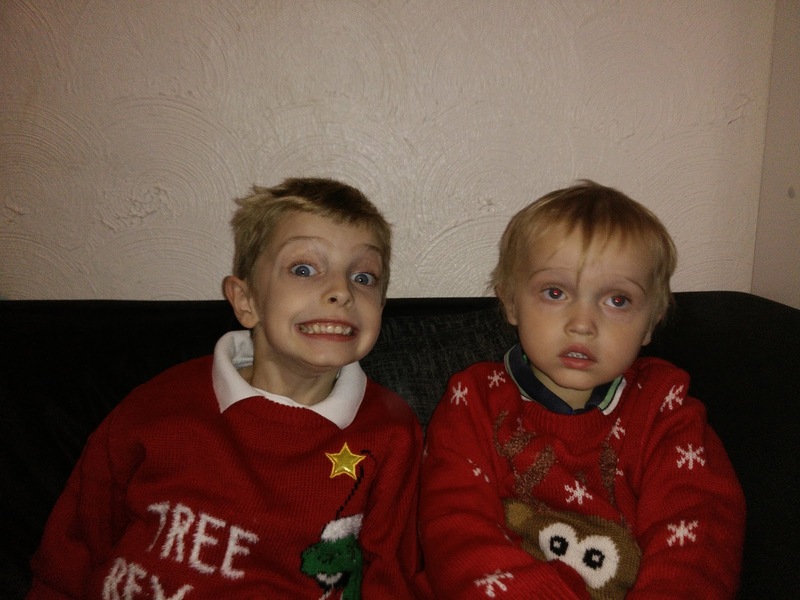 They were both spoilt rotten by Santa at their grandparents house and also at out house when we returned! We then had Nana and Gaga over for a Christmas dinner on Sunday where they boys were spoilt with even more presents! Merry Christmas! 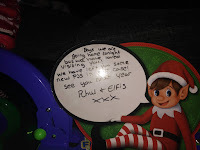 So Rhul and Elfis have gone back to the North Pole with Santa last night. So here is how we found them for the last few days in the run up to Santa's visit! 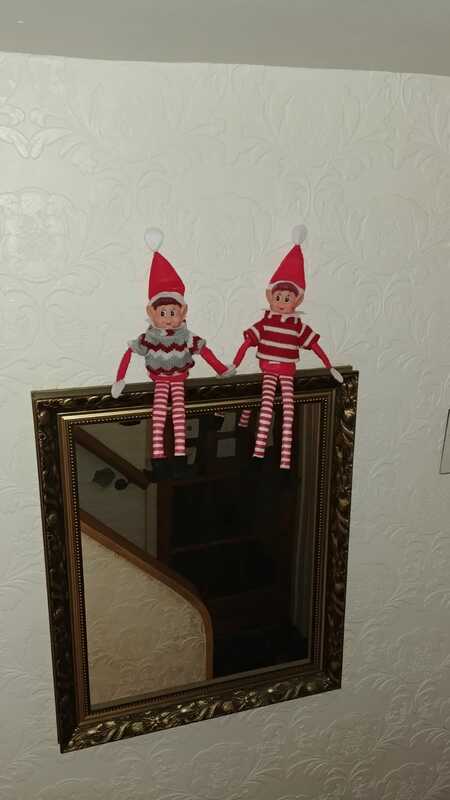 On Day 21 the pesky pair decided to sit on top of the mirror in our hall way! I think they might have been been going into the kitchen and got disturbed! 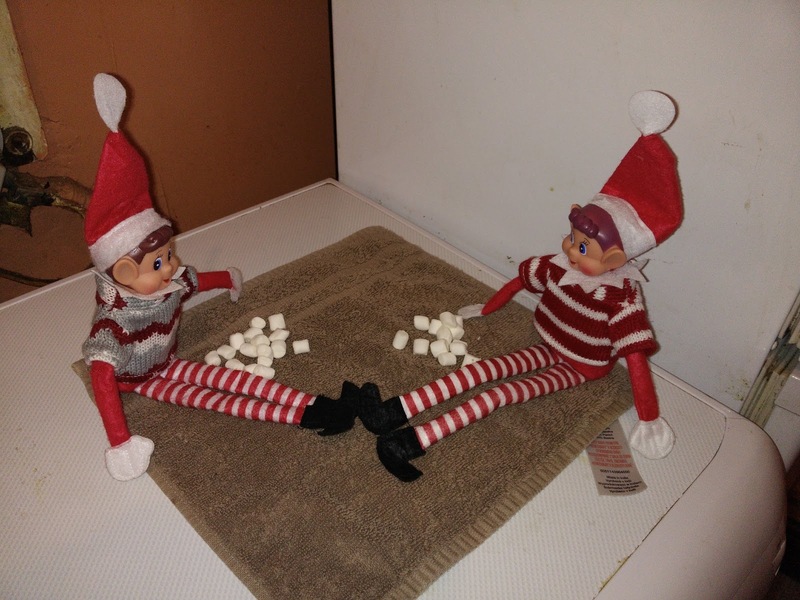 On Day 22 we found them sat on a blanket in the kitchen with some marshmallows. 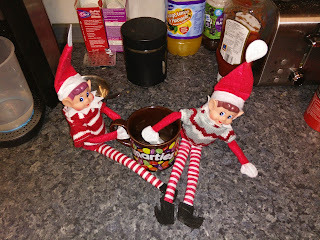 We assumed they were to make the boys some North Pole Cereal! 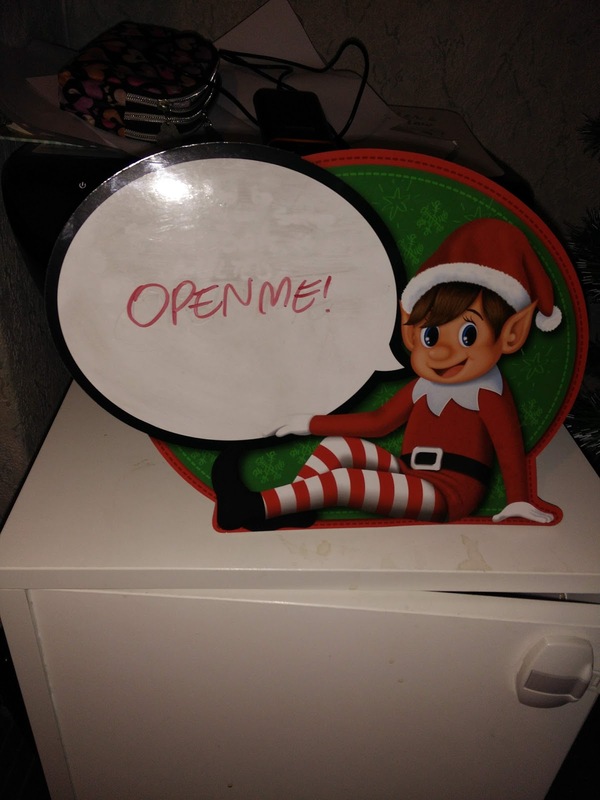 On Day 23 we found a sign from the elves saying open me! When we opened up the unit we found they had been very naughty and were playing with wires for our phone chargers! 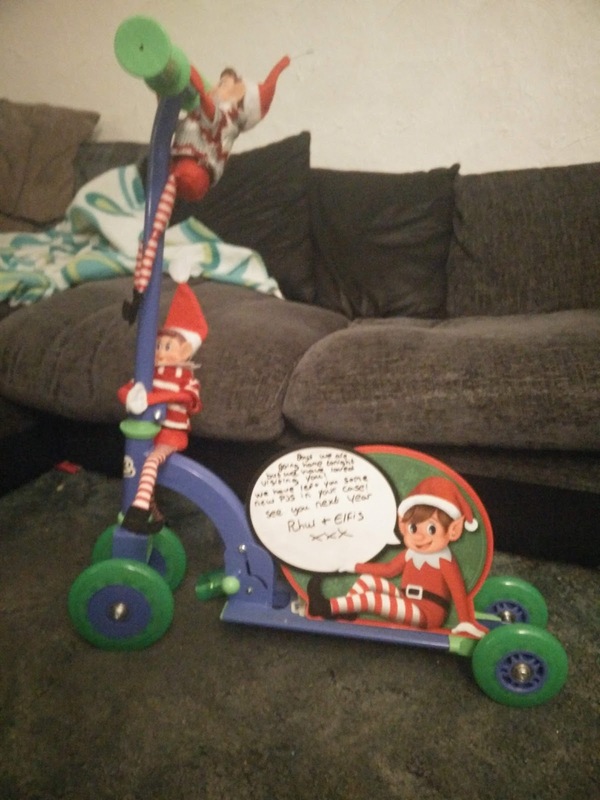 And so finally on Day 24 the pesky pair had decided to have one more night of fun and they took Freddie's scooter for a ride around the lounge! They also left a little message for the boys saying how much they had enjoyed themselves! 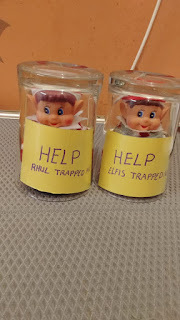 I hope you have enjoyed reading about the antics of Rhul and Elfis! I cannot wait to start planning all their tricks for next year! 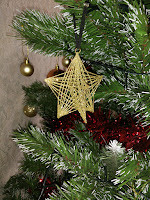 And so it is officially the last day of Blogmas! Although we do actually have an extra post going up tomorrow with the last few days of antics from the Elves! What a brilliant few weeks of posting it has been! I won't lie and say its been easy trying to get a post up every day! 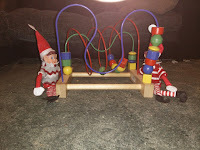 Its been a lot of hard work and trying to fit blogging in while Freddie is asleep at night and while he has been in playgroup along with doing everything else I need to do in the house to get ready for the big man in red coming tonight! Most of my posts have been written at night when Freddie is curled up asleep in bed next to me! A few times he has rolled over and put his head onto my arm while I have been typing! Next year I aim to be even more prepared for Blogmas than I was this year! So for now I will leave it here and say Thanks for reading my daily ramblings, I hope you have enjoyed elf watch to see what Rhul and Elfis have been up to! 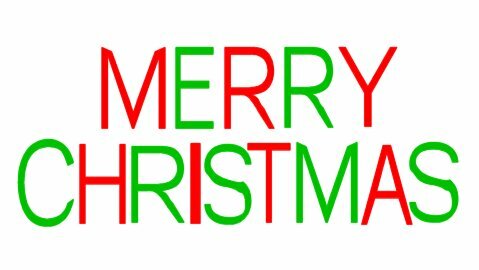 Here's to a brilliant Christmas for everyone and an even more brilliant 2019! Its Christmas Eve and it is also the second to last Living Arrows post of 2018! I feel so proud that I have stuck to this Linky every week! Ok its not always made it up on a Monday but it has always gone up! 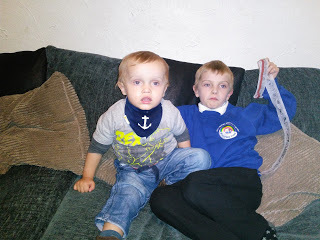 So this week the boys are now on holiday from school and playgroup! James is so exhausted from a busy term at school! He has literally not stopped and has worked so hard this term! Since he started Beavers back in September his confidence has gone through the roof! On a morning at school he will run off with his friends to play and I won't see him again until the TA comes to open the door to let them in!! In the last week of term it was pretty busy! James had his Key Stage One Nativity, a Christmas fun day, the whole school carol service at our local church and also a school talent show! By the end of the week he was exhausted! 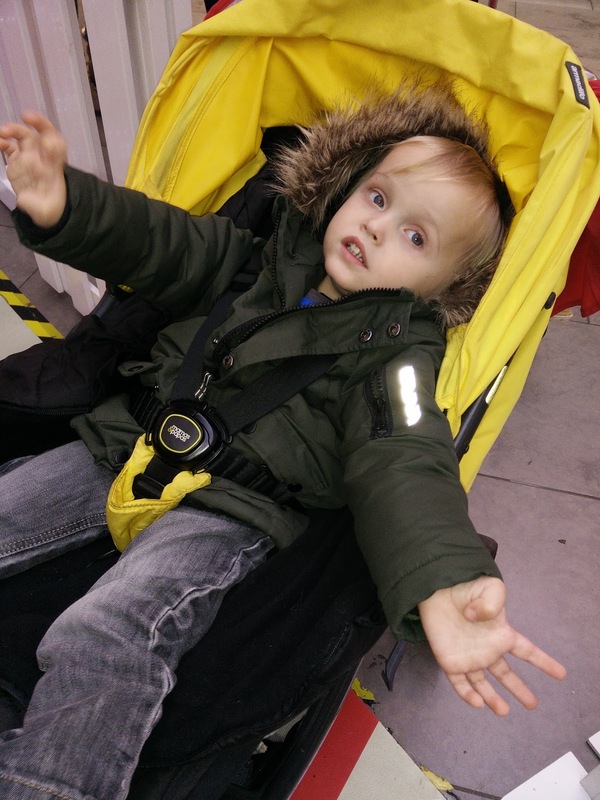 Freddie has had a brilliant time at playgroup this term! The two sessions a week have really helped him become more independent and he is so happy to be away from me when he is there! He has made some lovely little friends and from January he will be with the little brother of one of James friends on his two morning sessions! 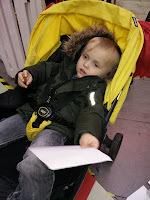 In his last week of term he had a trip with mummy to see Santa at a local shopping centre! We met at his playgroup at just before 9am to get the bus across with some of his little friends! There is a Blogmas post coming up on his reaction! And lets say it was not too good! 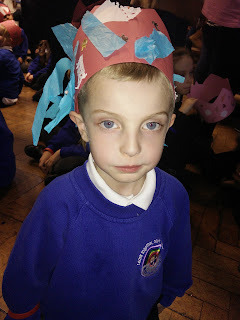 Then on the last day of term he had a Christmas Party with some of his little friends! 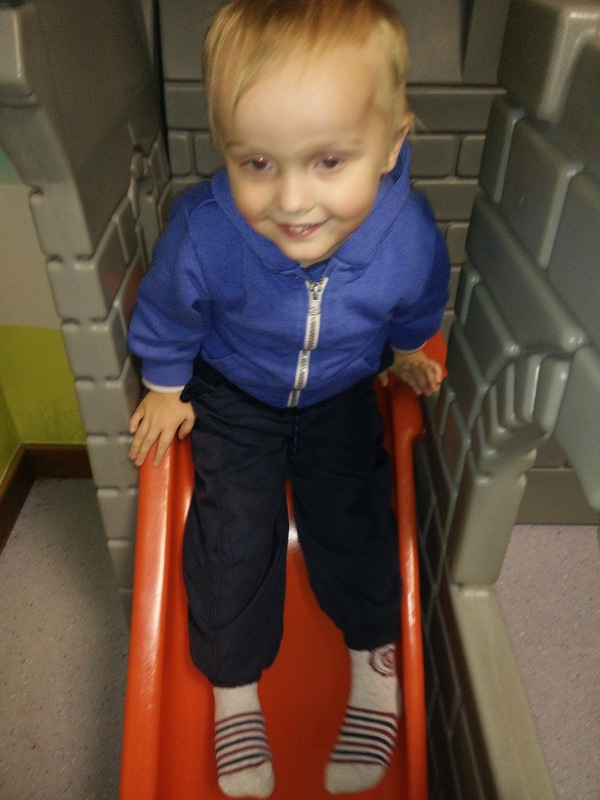 The playgroup had assigned each child to one of the party slots and Freddie was in the 0830 slot! This was good practice for us for January when he has two 0830 start sessions! He also got picked up by Nana and Gaga on Wednesday as mummy had to be at the church for James school carol service and I didn't want to have to rush down from the church to collect Freddie and then hang around to get James. Freddie also had a party on Thursday morning with Sure Start, His last time going there before he starts his 15 hours! Its the final count down! We have almost reached the finish line! For today's post I am writing all about my goals for 2019 and how I want to have a better balance between family life and blogging life! At the start of 2018 I said I was going to try and balance things a bit better, yeah that didn't happen at all! 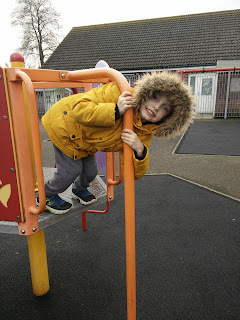 I didn't want to do any blogging when the kids were awake, That did happen I have been doing the majority of my work on a night or on a day Freddie has been in playgroup. But I have been pushing myself with deadlines! There have been nights when I have still been working at nine or ten o'clock just to get things done as once Freddie is asleep I didn't actually sit down and write till after eight o'clock! A few times I have had to go into the kitchen with the laptop and shut the baby gate to stop Freddie getting in just so I could finish and post on time for a few things! Needless to say Freddie crying at the gate was not too nice! 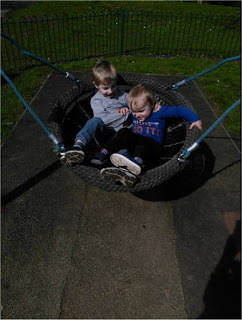 From January though the balance will be a lot better as I will have Freddie in playgroup for 15 hours a week including one day from 0830 till 1430 so I will have so much more time to write and plan and focus on this blog becoming more established! So here's to 2019 being the year I actually enjoy some free time away from the monkeys! 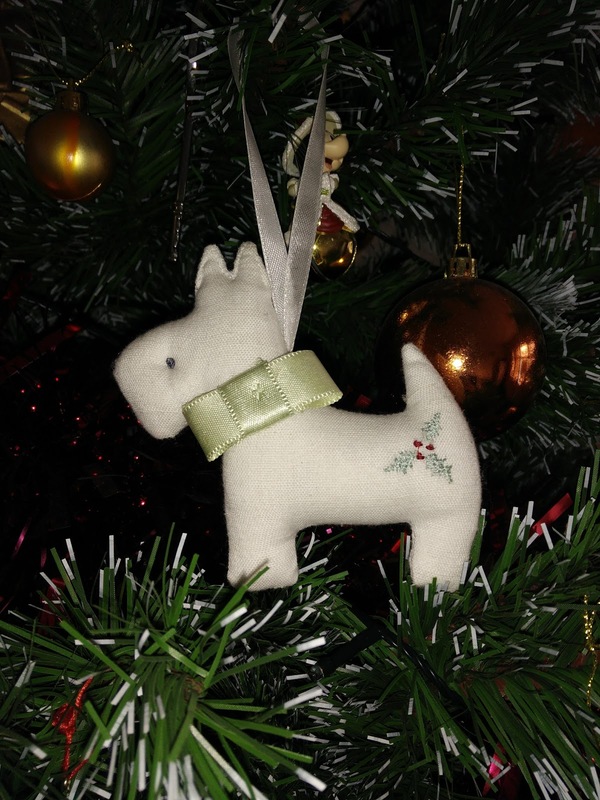 And so we are getting into the final few days of Blogmas! And I am pretty impressed that I have managed to do some sort of post for each day! Today is a recap on Freddie and his sort of Santa issues! So when we went to the garden centre, he looked at Santa from outside the grotto, He didn't cry but he was more interested in what was happening outside aka the stuffed animals! So when we saw there was a trip from playgroup to a local shopping centre to visit Santa mummy decided to go! 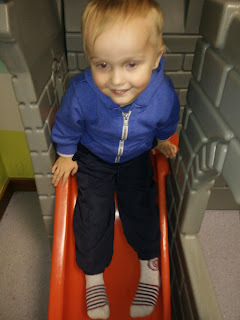 We dropped James off at school then got the bus into town and then the shuttle bus across to the shopping centre where we met up with the rest of the playgroup. There are four settings for his playgroup so there was a lot of kids there that Freddie didn't know, but he knew all the staff! He was especially pleased to see his old key worker who has moved to one of the other settings this year! All while we were queuing Freddie was a little angel. He was in his buggy, but he was loving all the Christmas decorations! That all changed once we got to the front of the queue, as we were met by one of Santa's elves he burst into tears and didn't stop! Not even once we were in to see Santa! The only way mummy could get him to calm down was to put Peppa pig onto YouTube! That calmed him right down and he was able to say dinosaur and ninky nonk when Santa asked what he would like for Christmas! Hopefully next year once he is 4 he might be a bit better although its taken James till he was 6 to stop being scared! Here is Freddie before going into the grotto! So its another post of elf watch! The elves have been getting up to so much mischief! 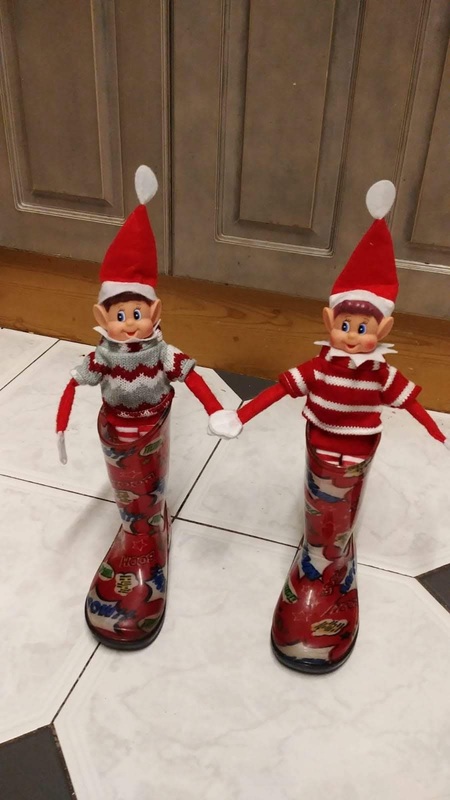 On Day 16 we found the pesky pair had been playing with Freddie's wellies! 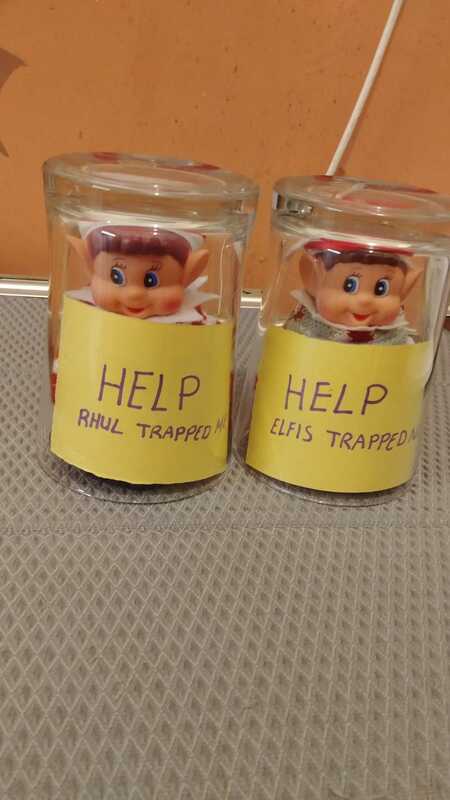 On Day 17 Rhul and Elfis decided once again to be helpful or at least try to be helpful! They tried to make mummy a cup of tea but they forgot to put the milk and sweetener into the cup! 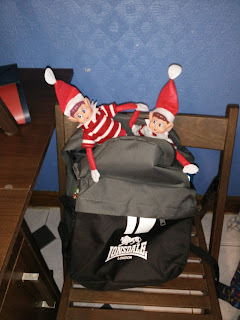 On Day 18 Rhul and Elfis climbed into James school bag! I think they wanted to go and watch the nativity as it was on that day! James had been practising all the songs over the weekend so I think they just wanted to join in all the fun! 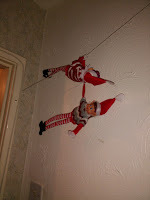 On Day 19 we found the pesky pair trapped under glasses in our kitchen! Rhul blaming Elfis and Elfis blaming Rhul! I wonder who actually did trap who! 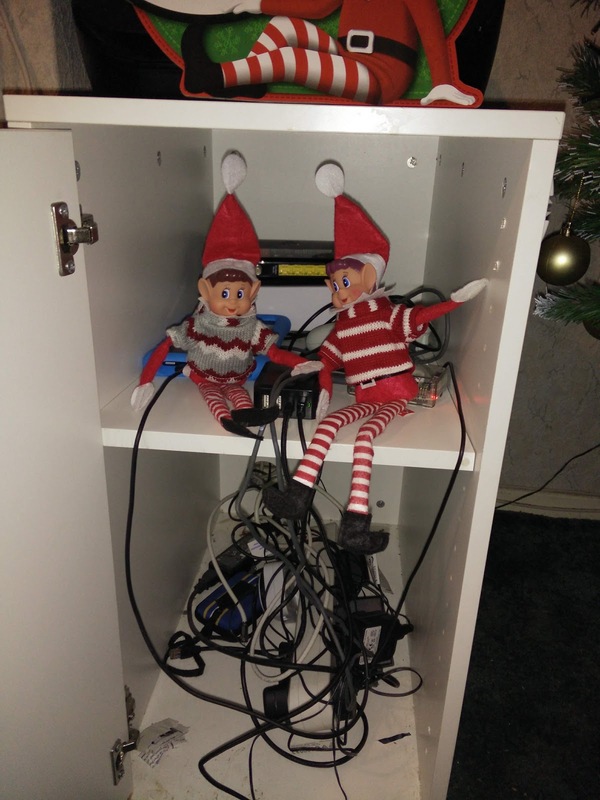 On Day 20 we found the cheeky elves had been playing on our old phone cable! The final elf watch will go live on Christmas Day! 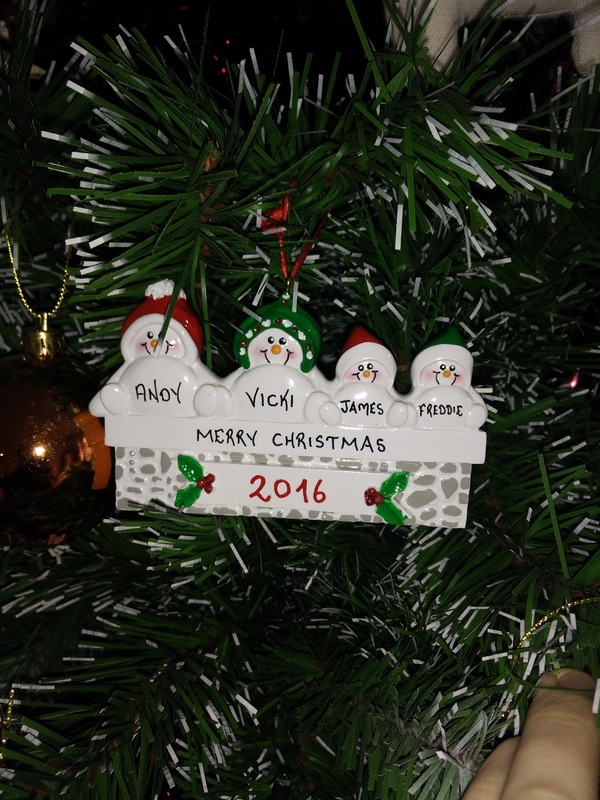 This year is the first year that we have successfully completed the siblings project linky so what better way to celebrate Christmas than to do a round up of all the photos from January to December 2018! It is amazing to see how much the boys have grown up this year! When we started the siblings project back in January Freddie was two years and almost two months old! Now he has just turned three and is such a little character! James has shot up over the last 12 months and has totally come out of his shell and is such an amazing big brother to Freddie! Heres to attempting to complete the 2019 siblings project! 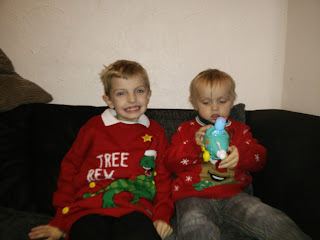 Today is all about Christmas traditions and things from my childhood that I have passed onto the boys! When I was a child I always got new PJ's to wear on Christmas Eve and this is something we have done with the boys since their very first Christmas. They have always had brand new PJ's to wear for Santa coming! The next one is we of course always leave out a mince pie for Santa, a drink and a carrot for Rudolph! James gets very excited to do this and I'm sure as Freddie gets older he will get more and more excited for this! Another tradition from my childhood is going to the Christingle service at the local church. Now the church I grew up near always holds this on Christmas Eve but the church near where we live now does it the week before Christmas but we haven't actually made it to the service yet. We do try to go to the nativity service on Christmas Eve though with the boys. Last year we tried to introduce a Christmas Eve box to the boys but they were not really that interested in it so we might try again once they are a bit older! 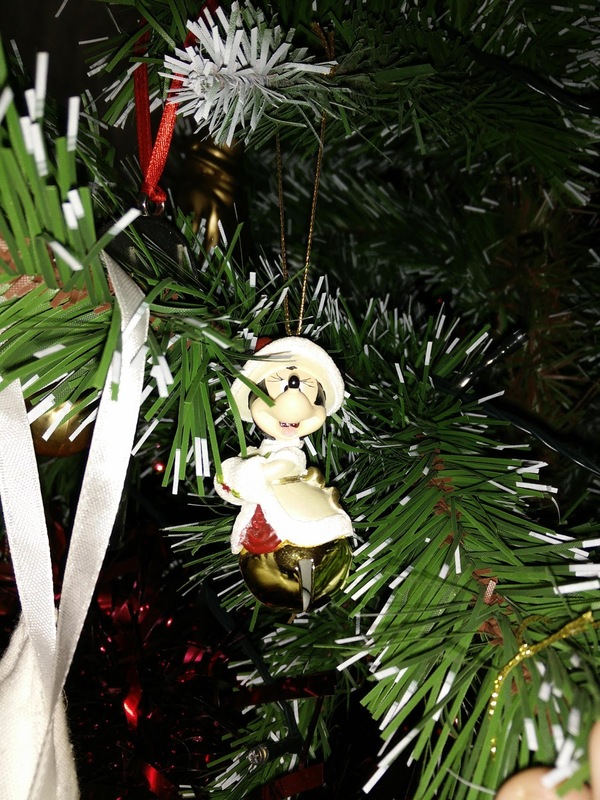 What Christmas traditions to you have in your family? Today I'm writing all about how the boys got their names! So our oldest is James Ian Michael. The James part came from my granddad on my mums side. He died a few moths before my mum and dad got married and if I had been a boy James would have been my name. The Ian part comes from my dad. I always said if i had a boy one day he would have Ian somewhere in his name! The Michael part comes from Andy's dad. We said from day one we would use both of our dads names and we did. Our youngest son is Freddie Andrew Tinline. The Freddie part comes from Andy's granddad on his mums side. He was named Frederick, but we felt that was a bit of a long name for a little boy so we went with Freddie. The Andrew part obviously comes from Andy. We felt that the names went well together. And his finally name Tinline is actually my granddad on my mums sides middle name and it was his mums maiden name. We felt the boys should both have a name from him as I had never known him but was told lots about him! So this is how the boys got their names! your child’s education, so let’s take a look at what options you might have before you. change to their life, and consider whether you are up to the task of teaching them. 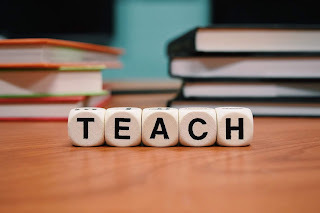 education, but you will need to make sure that you are truly happy to do so first. considering at least. You might find this makes a huge difference overall, and it’s worth a go. This year a lot of the houses around us seem to have gone crazy with decorations and lights outside! Normally we only see one or two in close proximity to us, but this year since James has started Beavers we have seen a lot more! Last week was the last Beavers session of the term, so on the way home mummy got James to count sets of Christmas lights, trees and decorations he saw between the scout hut and our house! To my surprise we actually saw 47 sets including out own!! There is one street we walk down on our way to and from Beavers that has five houses all in a clump which are totally decorated outside with lights and inflatables in the gardens! There is another house which is on the street that runs parallel to ours that put its first lights up on November 1st! All we have done this year is put a set of battery operated lights across the top of our window, some gel stickers on the actual glass and some spray snow! The boys have really loved seeing all the lights this year and I hope the houses round us keep doing it! Who knows maybe next year we might do something a bit more to our house! This week has been pretty crazy and busy for the boys! 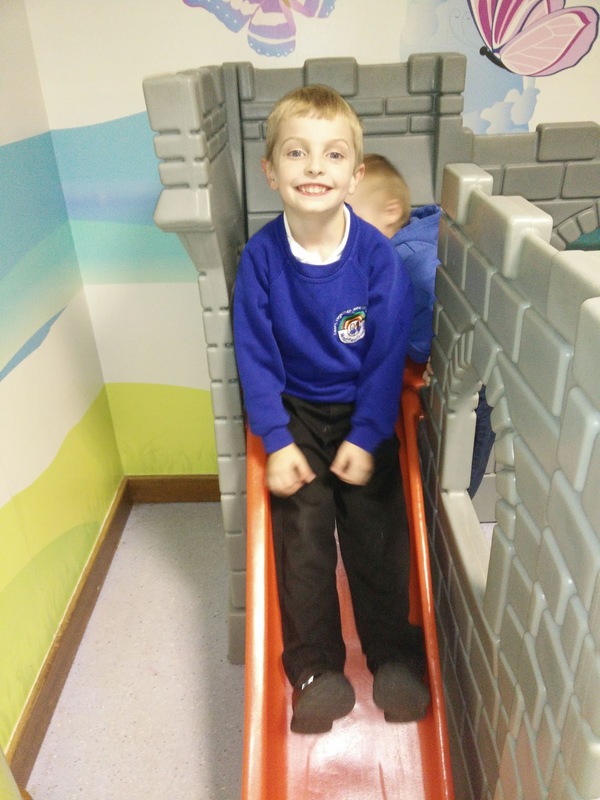 James had his appointment at the local hospital for the results of the sleep study he did back in September! 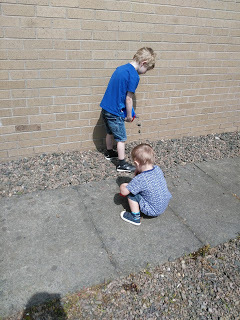 So it meant an early pick up from school and playgroup for both boys to get the bus across to the other side of Newcastle for his appointment! Then to get home we actually had to get the bus into Newcastle city centre to catch the bus back home as the hospital was running over an hour late and mummy didn't want to hang around waiting for an hour! 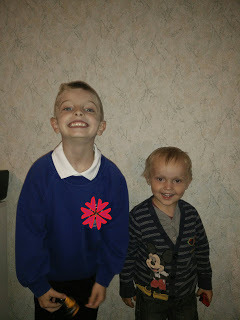 James also had a PE day at school, His parents evening, his Christmas lunch and Christmas Jumper day! Freddie is still loving playgroup! Its hard to believe that this is the last week we will have to pay for his sessions as from January he will be getting his 15 hours so he will be in more often including one full day! Mummy won't know what to do with herself on the day he is in all day! Although I expect a lot of it will be spent catching up on blogging and cleaning and cooking!! He brought home the calendar he had made with his photo on, a Christmas card with his squiggle in and a cute little bauble he had made for our tree with glue and glitter in! 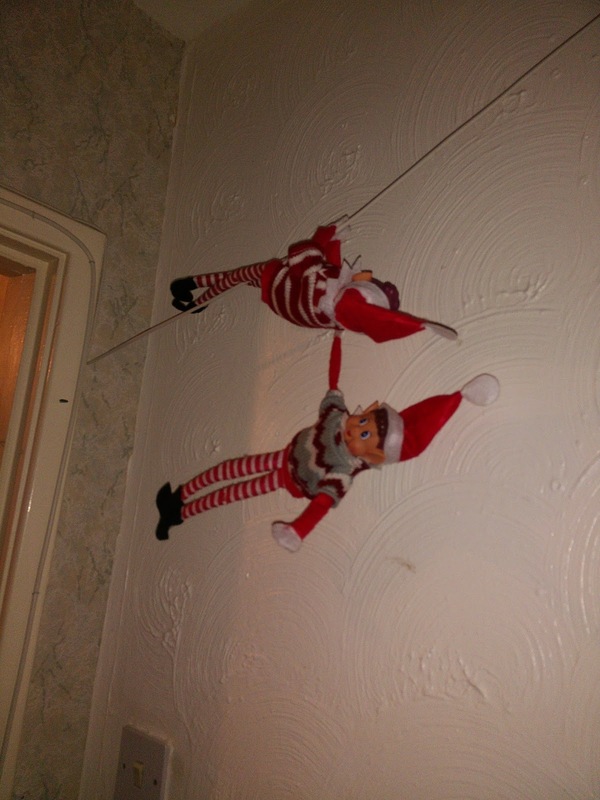 Its Day 16 and it is time for another update on the elves! 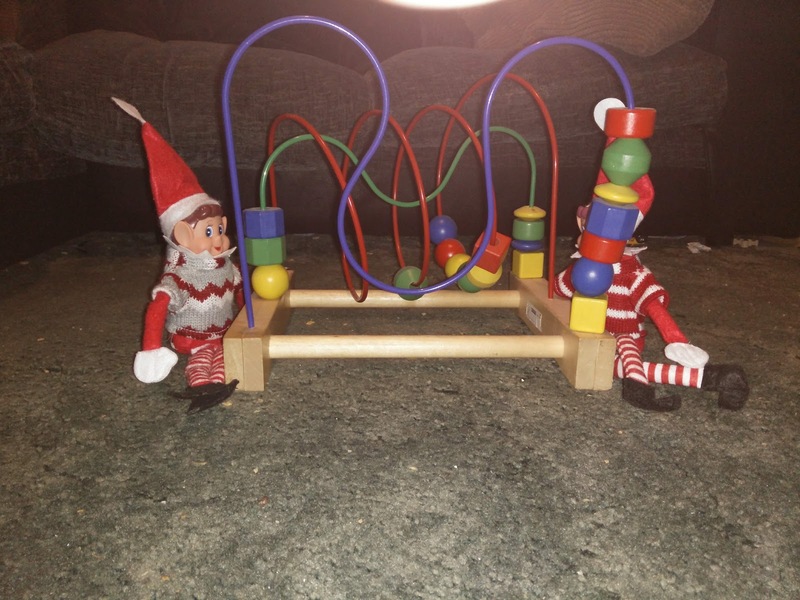 On Day 11 we found them sat on our lounge floor playing with Freddie's bead toy from Ikea! They looked like they had been having a good time playing over night while we were in bed! 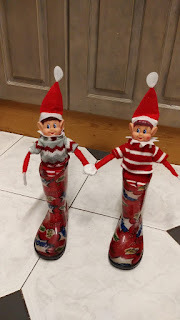 On Day 12 well mummy woke with a start at half past four realising she had forgot to set the elves up after the fiasco with James hospital appointment. So mummy leap out of bed and came downstairs! 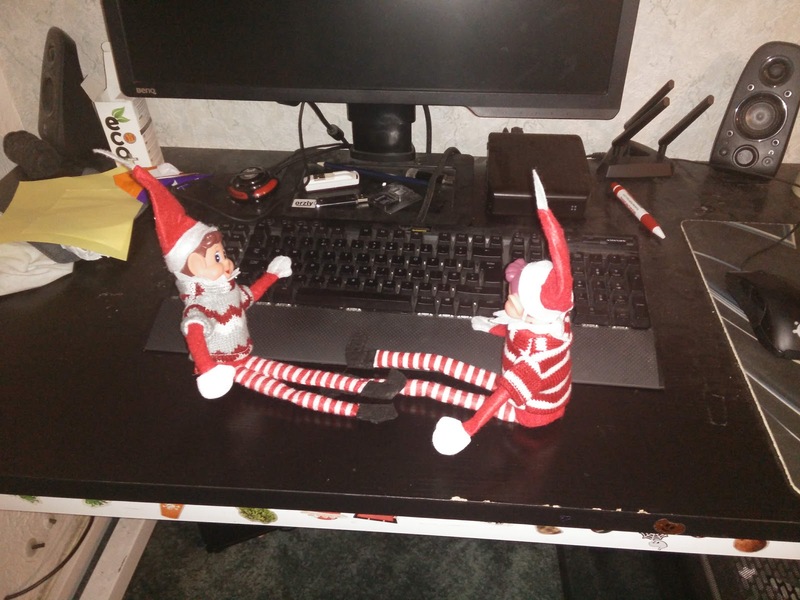 So when the boys got up they found the elves on daddy's PC! 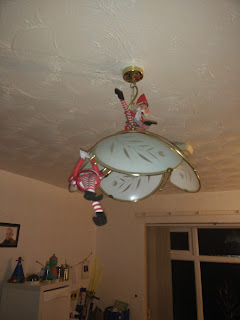 On Day 13 the elves had been having a party on our lounge light fitting! It took James ages to spot them! Eventually we had to give him a few clues! 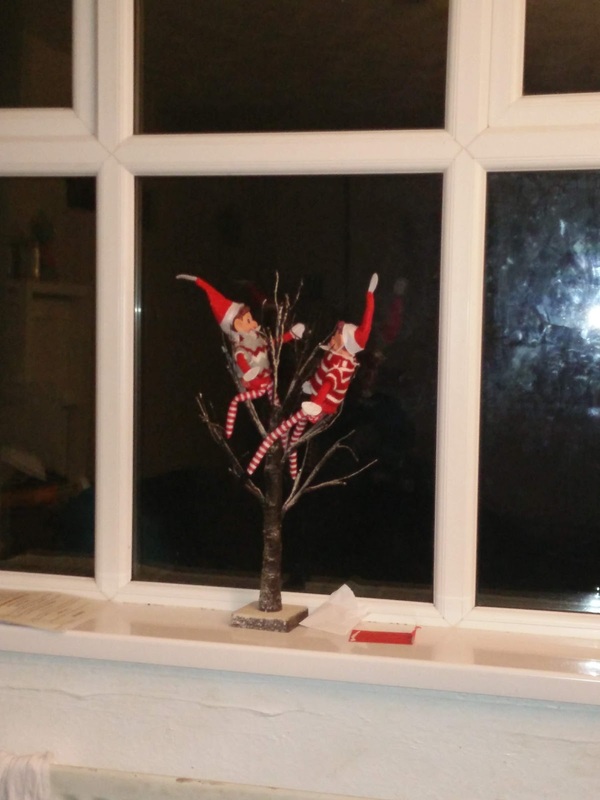 On Day 14 the pesky pair had climbed into out little tree decoration on our back window! They looked like they had been having a great time over night! 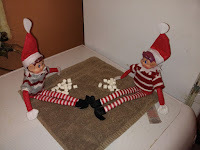 On Day 15 the elves took a trip to see Santa and brought back some snow but it melted! When I was a teenager and in my early twenties I totally loved my music and my boybands such as Westlife, Boyzone and D-Side. But since having the boys I have totally lost interest in music. Back then I could always tell you who was number one in the charts but now I couldnt even tell you what day the chart was released on! Now tend to listen to all my old music via Spotify when I am working during the day! I tend to listen to Westlife and D-Side the most as they were my favourite bands growing up although I didnt actually meet Westlife properly till I was in my mid twenties and I had moved down to Surrey to live with Andy! It was easier to get into London to see them at breakfast television! With D-Side I met them so many times I lost count! One of the guys is now a presenter on Milkshake on Channel 5, its so funny watching him on there and the boys loving him singing when mummy used to go and see him virtually every few weeks growing up! My all time favourite band is actually a band from the 60s/70s/80s/90/00s called The Moody Blues. They are my dads favourite band and he brought me up listening to them! I first went to see them in concert when I was 5 years old and I have never missed a UK tour since! 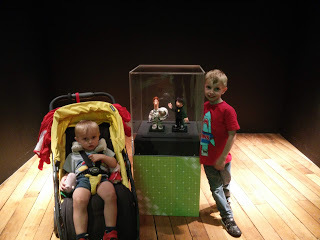 I even took James to see them just before he turned 3 and he loved them! So this is all about my top music choices to listen to when I am working! What would you recommend for me to listen to which is a bit more recent! Its finally December and we have completed a whole year of the Siblings Project! I really cannot believe the fact I have managed to do it finally! The last couple of years we have given up after a month or two but 2018 was the year we did it! 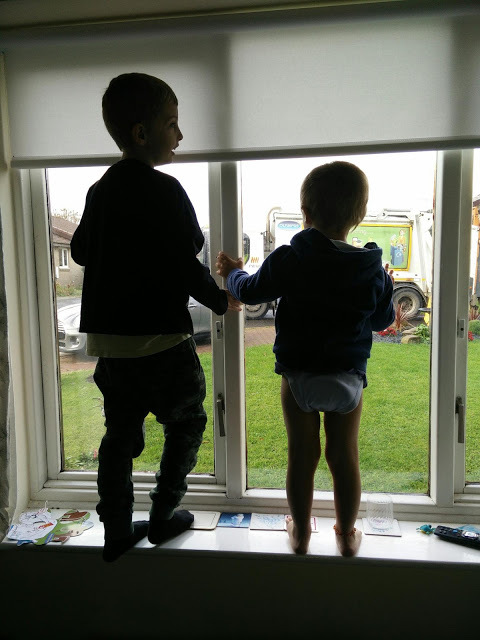 Since the last Siblings Project post Freddie has turned three and the boys have started to get really excited in the run up to Christmas! 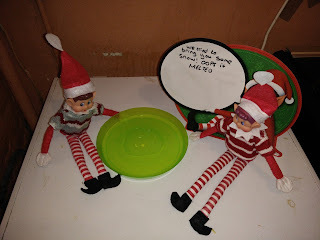 They are loving the fact we are doing Elf on the Shelf again and every morning they get really excited to see what the Elves have done while they were in bed! James has also had his school fair. Nana and mummy went to pick him up so he could enjoy some time with us without Freddie who stayed back at the house with Gaga! 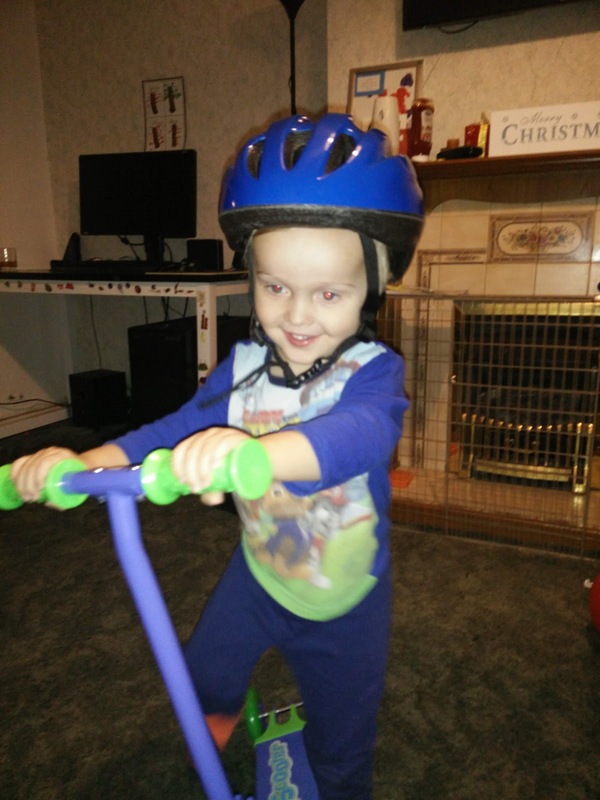 Mummy will be taking Freddie to see Santa again in a few days on a trip with his Playgroup! As well as the fair James has had a PE day at school, Parents evening, Christmas lunch and Christmas Jumper Day! We have the Nativity coming up in a few days! 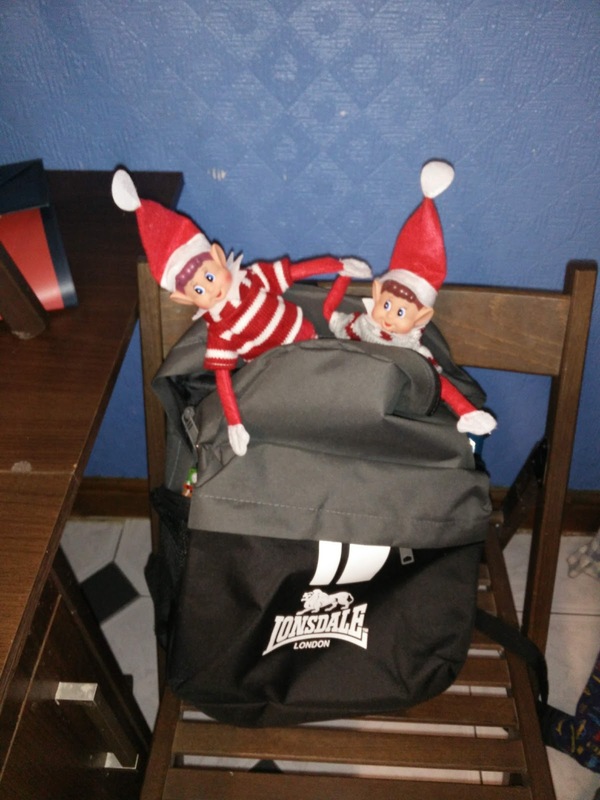 The boys finish for Christmas this coming week and boy are they excited for the day itself! Freddie is really starting to get into the Christmas mood! 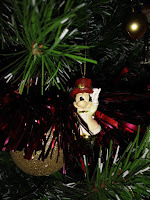 For day 14 on Blogmas and its all about our Christmas Tree! 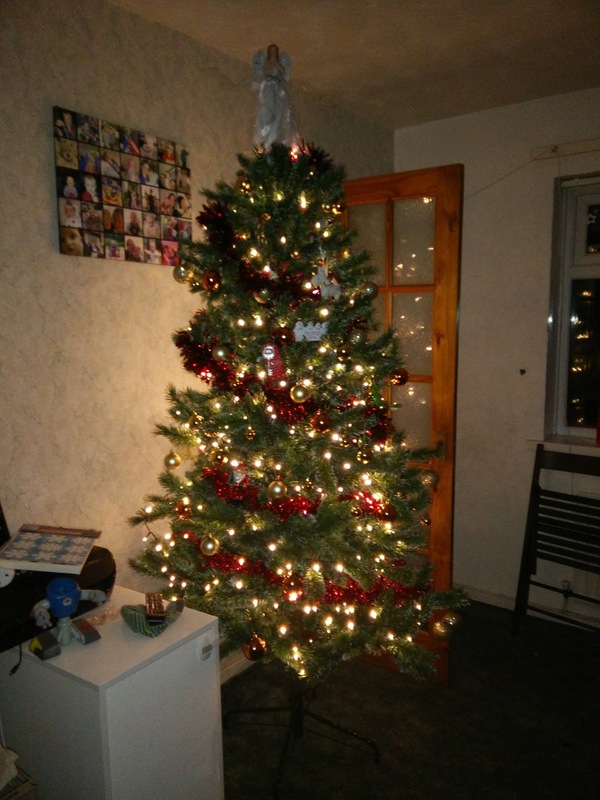 This year we have bitten the bullet and bought a new tree! 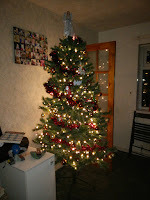 Our old tree was 6ft, black and pre lit! Our new tree is 7ft, green and unlit! 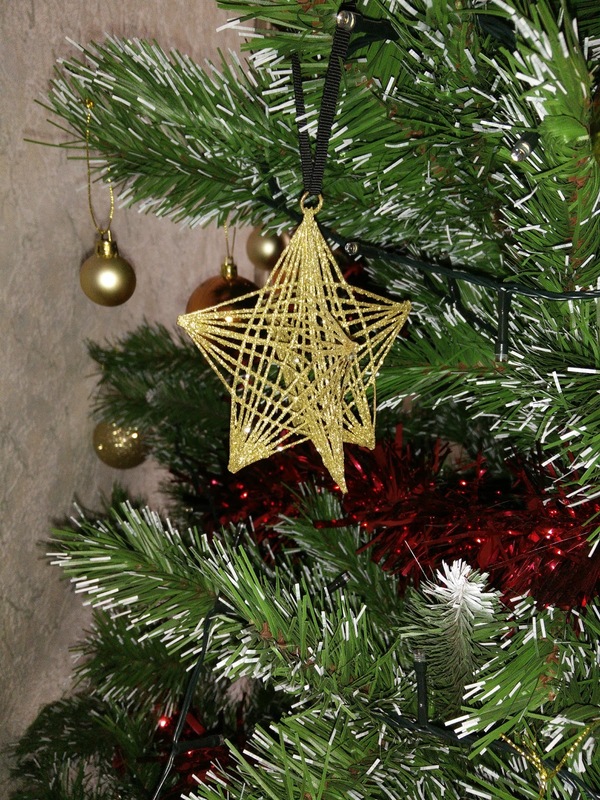 We chose to go with bronze coloured baubles, white lights and red tinsel with the odd old decoration! 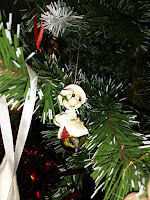 For our old decorations that we kept from our old tree we have a Paddington Bear, a Santa, two Santa keys, Mickey and Minnie Mouse, Our family decoration and lastly our tribute decorations. Along with our new bronze baubles, we also bought the carrot decorations from Aldi and a green dinosaur! 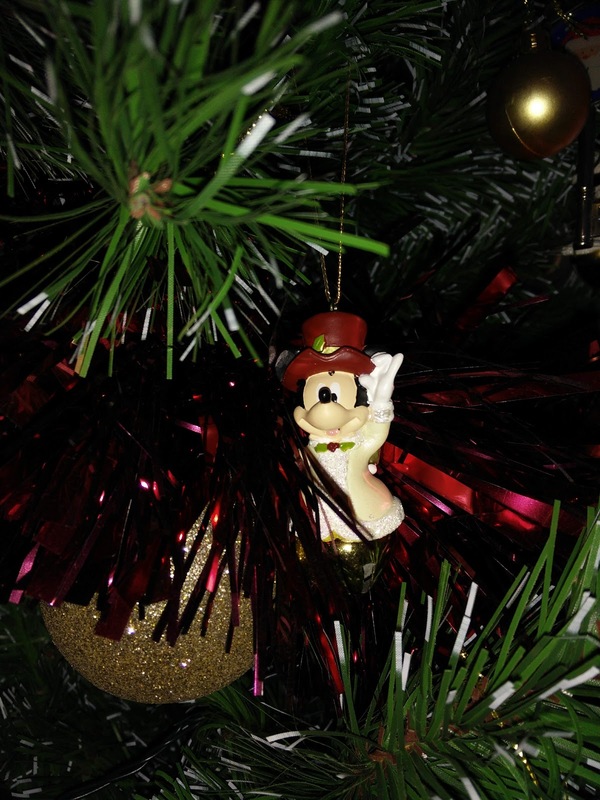 Our Mickey and Minnie Mouse decorations are pretty special as we bought them seven years ago at Ye Olde Christmas shop in Magic Kingdom when we were on our honeymoon in Orlando. Our tribute decorations are for my Nannie and also my great aunt. For my Nannie we have a gold star as James called her his star in the sky when she died and for my great aunt we have a white westie dog as she loved westies. 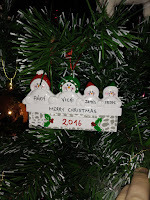 Our family decoration we bought in 2016 in a local shopping centre from one of the stalls to personalise decorations. We bought it when we were out the weekend that Freddie turned one! We bought a new tree topper in the form of an angel to replace the gold star we used to have. Not only did we buy a new tree for the lounge we bought a smaller battery operated 3ft tree for James to have in his bedroom! On that tree he has the decorations that he made at Baltic, some left over decorations from our big tree and the small decorations he got in a toot toot advent calendar a few years ago! I cannot believe I have got to the 13th of December and not wrote about Freddie's 3rd Birthday! The day started early thanks to big brother wanting us to get up, but we managed to get him to calm down and let Freddie sleep! Once Freddie was awake James insisted on singing Happy Birthday to him in bed before we all went downstairs to start opening his presents! To be honest I think Freddie was totally overwhelmed at the sight of his presents and it did take him a good while to get through opening them all! He loved the fact he now has a scooter like James and he was loving riding it around the house! Mummy had to go to Tesco as she had forgotten to buy a candle for the birthday cake! So once mummy was home it was time for her to start cooking up all the party food for when Nana and Gaga came down at lunch time! 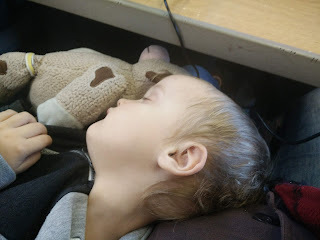 Poor mummy didn't actually sit down from 1030am till 1 pm and was absolutely exhausted by bed time! 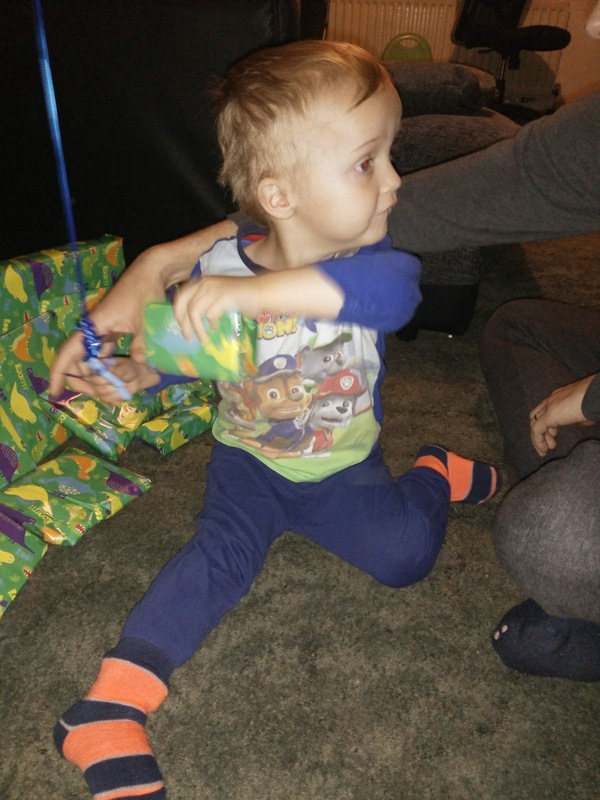 I think apart from the scooter, Freddie's favourite present had to be Boris the Fingerling hug from Nana and Gaga! They had got one for James for his birthday back in August and Freddie was totally obsessed with it, so they decided to get him his own and he adores it! It gets played with virtually every day!! 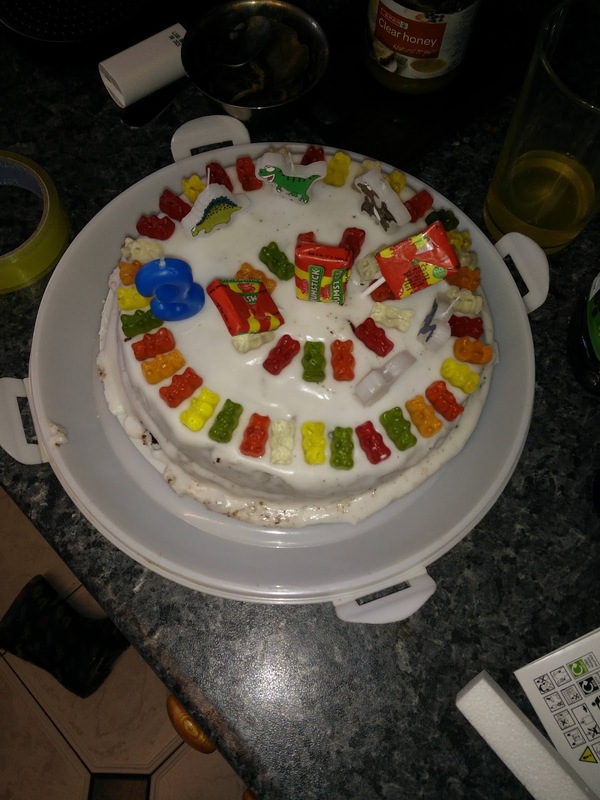 Gaga had made Freddie a dairy free cake complete with gummy bears on instead of chocolate buttons! Both boys adored the cake and made a lot of mess when eating it! Two weeks later and I still can't believe we have a three year old lmao! I still keep accidentally calling him a two year old and Daddy has to keep correcting me! 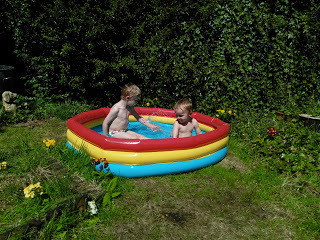 There is such a big difference between James at 3 and Freddie at 3! For example with James you could have a full blown conversation and Freddie is only just starting to string short sentences together! 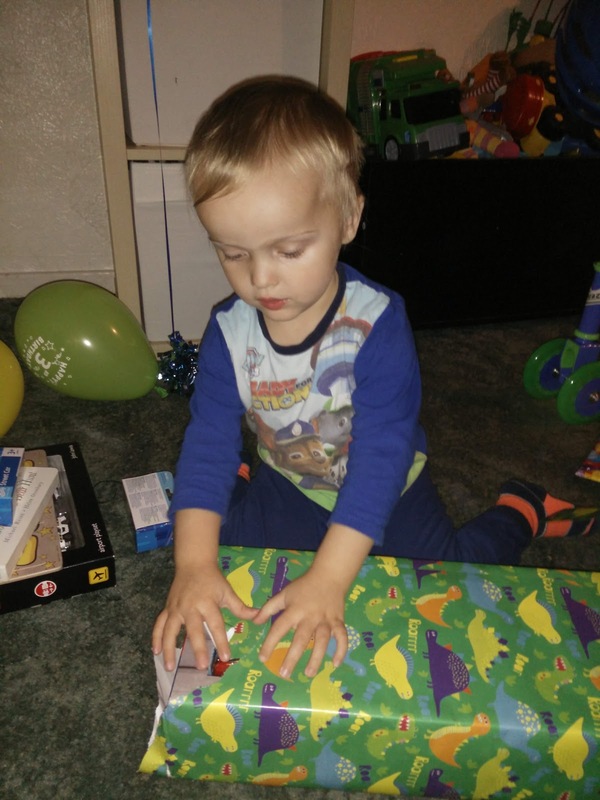 So thats a brief insight into Freddie turning Three!